MOSCOW, August 2. /TASS/. 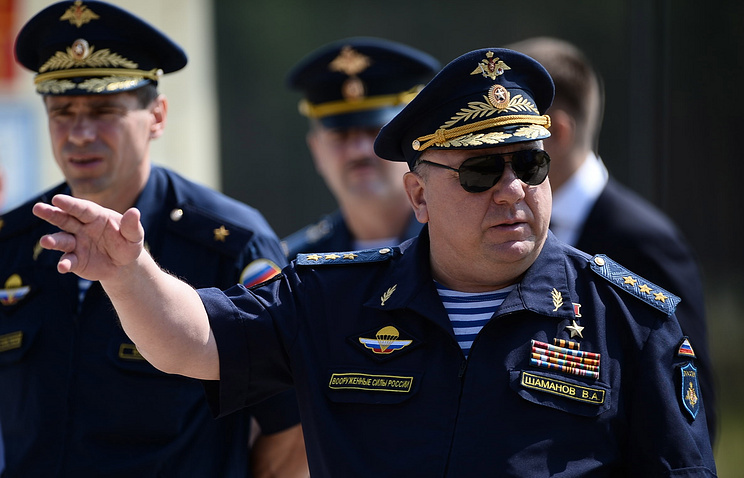 Russian Airborne Troops have increased their peacekeeping and international activities by almost eight times over the last three years, Commander Vladimir Shamanov told Rossiya 24 TV channel in an interview broadcast on Tuesday. “The intensity of our international and peacekeeping activities has grown by 8 times since 2013 – from 11 operations in 2013 to 82 operations this year. That means that we are fulfilling tasks not only on the territory of our country but also far beyond its borders,” Shamanov said. Russian Airborne Troops are celebrating their 86th anniversary on August 2. The military branch was established on 2 August 1930 when a unit of 12 people was for the first time dropped by parachutes at Moscow Military District’s drills near Voronezh. There are now around 45,000 people in Russian Airborne Troops. Two formations of Russian Airborne Troops (98th Guards Airborne Division and 31st Guards Air Assault Brigade) are part of Collective Rapid Reaction Force of the Collective Security Treaty Organization (CSTO).